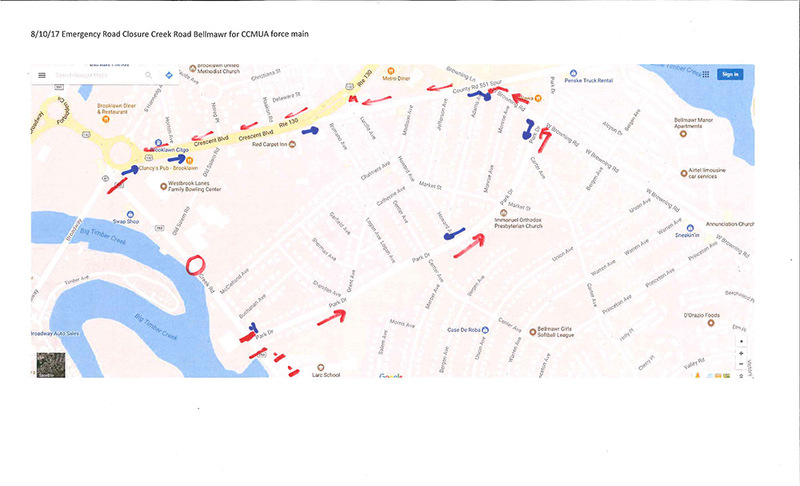 (Lindenwold, NJ) – Part of Creek Road in Bellmawr will be closed beginning today, Aug. 10, for emergency repairs. 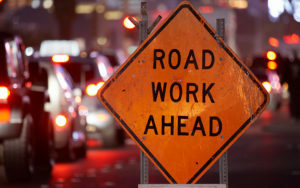 The stretch of Creek Road from Park Drive to the Brooklawn Circle is expected to be closed until the end of the day Friday while the Camden County Municipal Utilities Authority repairs a force main. Signage will be posted directing motorists away from the closed stretch of road and along a preplanned detour route. Drivers on Creek Road will be detoured onto Park Drive, then Browning Road and Route 130. Drivers coming out of the Brooklawn Circle will be directed along Route 130, then Browning Road before turning onto Park Drive. The repairs are expected to be completed by the end of the day on Aug. 11, but scheduling is subject to change due to weather or other unforeseen variables.